Francis Frangipane: "The Cup: Spiritual Maturity is to Drink Deeply of the Cup of Christ." All I can say is - this is a powerful word by Francis Frangipane. We all want our visions and dreams to come to pass. Yet Francis shares a sobering reality that much of the time there is a process of "dying to self" before those dreams and visions come to fruition. Jesus even tells us in Matthew 16:24, "If anyone would come after Me, he must deny himself and take up his cross and follow Me." Listen to what Francis shares here, "Every advance that I have made spiritually was preceded by an opportunity to die to self. The power in my life comes from where I have died to self and now live unto Christ. "But let me assure you, this is not a gloomy path; this is the path to the life of Heaven. For when Christ lives in us, He comes with an overwhelming, sustaining joy." God takes us through the process so that we may be perfected and fit for the Master's hand. Amen! "The Cup: Spiritual Maturity is to Drink Deeply of the Cup of Christ"
When I first came to Christ, the Lord gave me a dream about my future. I thought that everything the Lord said was supposed to occur immediately. I didn't know of the work of preparation and dying to self, of learning patience and maintaining vision through testing, that would occur before God's promise would find fulfillment. Consequently, I was filled with ambition. Ambition is the first motive that arises in the spiritually immature. I was like the disciples who, a few days after Jesus' resurrection, were already asking, "Lord, is it at this time You are restoring the Kingdom...?" (Acts 1:6). Ambition is very deceptive. It can seem just like obedience, yet because we don't truly know the Lord, the voice we find ourselves obeying is not God's, but our own. Our vision can actually be from God, but our motive be self. Consequently, where there is ambition, James tells us there will soon emerge "disorder and every evil thing" (James 3:16). Why? Because we begin thinking we can accomplish the will of God through the strength of man. We are seeking a breakthrough; God wants to give us brokenness. The spiritually immature do not recognize their immaturity because they are immature. Thus, they become impatient, fearful and demanding. Because pride blinds the ambitious, we presume we are ready for greater assignments in God. In fact, we become a harder assignment for those who work with us, for our actions continually generate strife. Ambition seeks to put to death what stands between it and spiritual fulfillment. Yet, it is ambition itself that must die to reach fulfillment. Webster's tells us that ambition is "an earnest desire for some type of achievement or distinction, as wealth or fame, and the willingness to strive for it." The word translated "ambition" in the New American Standard is rendered "strife" in the King James. Truly, ambition is a major cause for strife, church splits and conflicts within the Church. I thought having a promise from God was the same thing as receiving a commandment from God. I did not understand what I personally lacked in character or what I needed to attain concerning faithfulness, becoming a bond-servant, and possessing a grateful heart. These things needed to be worked in me before God would truly begin to fulfill His larger promises and opportunities. What I became for God was more important than what I did for Him. Today, I am living in the spiritual substance of what was just a dream thirty-eight years ago. My ambitions have suffered greatly, yet my dreams are being fulfilled. While I have not yet arrived at the greatest aspects of my calling, I understand the difference between ambition and true leadership and it is this: Ministry is not a call to lead, but to die. Every advance that I have made spiritually was preceded by an opportunity to die to self. The power in my life comes from where I have died to self and now live unto Christ. Do you want to advance spiritually? The gateway to resurrection power is crucifixion. God will arrange opportunities for you to die to self. You must discern them. Dying to self and its ambition is the means of reaching true spiritual fulfillment. If you react to the opportunity to die with fleshly anger or resentment, you will fail to reach fulfillment. However, if you can maintain your vision even while your ambition dies, you will succeed. Having a true vision is not the same thing as having a godly motive. A person could have a vision directly from God, yet be driven by self-promotion and ambition in seeking to fulfill it. Jesus preached that the Kingdom of Heaven was at hand. This is vision. But He also taught: "If anyone wishes to come after Me, he must deny himself, and take up his cross..." (Matthew 16:24). If we will follow Jesus, notice we each have been given our own unique cross: "let him take up his cross." God has a cross specifically designed to crucify our fleshly ambitions en route to reaching our vision. Consider Joseph: God had given him a dream of his future, but rather than quietly ponder the divine experience, he exalted himself to his ten older brothers. He assured them that one day they would each bow, like stacks of wheat, in subservience before him. His fleshly immaturity awakened a fleshly, even diabolical plot among his brothers: they sought to kill him. Joseph's vision was from God, but his motives lacked character, and his actions nearly cost him his life (see Genesis 37). Yet, God was with Joseph, even in his lack of spiritual knowledge. And we should rejoice, for God is with us as well, even in our immaturity and ambition. Yet we should also understand: A true vision will kill you before it will fulfill you. Joseph had to learn to trust God in whatever circumstance or injustice he found himself; he had to become patient, serving others until the time arrived when his dream bloomed into reality. Consider: the Almighty could have certainly brought Joseph to Egypt by a less threatening route. Joseph could have grown to maturity among his family without being sold into slavery. Since he was given the gift of dreams and interpretation, the Holy Spirit could have simply given him a dream and told him to move to Egypt (as He did another Joseph centuries later). Once safely there, Joseph's fame at dream interpretation would have reached the ears of Pharaoh at precisely the right time, say the morning after the king's night of ominous dreams. Joseph, the "dream merchant," would have been positioned in the right place at exactly the right time. Instead, God brought him to Egypt thirteen years earlier than needed. The young man had to face and overcome repeated experiences with dying inwardly to self. He faced betrayal and abandonment; he was enslaved, tempted sexually, slandered and imprisoned. How hopeless could his situation be? Yet, he then faced the challenges of being forgotten. In spite of all these things, Joseph trusted God and grew in both wisdom and spiritual integrity. God didn't merely want a man to interpret dreams, but a man who could rule his heart when it suffered abandonment, injustice, slander and rejection and betrayal, and still remain the man of God regardless. Joseph kept his heart free from the bitterness that overwhelms the soul when one suffers repeated heartache. Yet, Joseph never let his wounding cause his heart to harden or keep him from trusting God. He was a man who wept when he finally saw his brothers. These were the men who laughed while he cried to them from the pit, then would have left him to die a long, agonizingly slow death had not a caravan passed by and Joseph been sold to traders. Joseph could have had his revenge - off with their heads! But the Scriptures record that five times Joseph turned away and wept in the discourses with his family; once he "wept so loudly that the Egyptians heard it, and the household of Pharaoh heard it" (Genesis 45:2). Joseph was a man of character, a man whose ambitions died but whose vision lived. He drank the cup given him by God, and his dream became a reality. Jesus drank the cup given Him, and we experienced salvation. But each of us has a cup to drink en route to our destiny. There will be no shortcuts to power. We will swallow the full dregs, and though it kills us, we shall live. Yet, it shall not be us, but Christ living in us. In Matthew 20:17-19, Jesus sought to prepare His disciples for the hardships that awaited them. He warned that a time was coming when He would be mocked, scourged and crucified for the sake of redemption. In the midst of this utterly sober warning, incredibly, the mother of James and John requested of Jesus fulfillment of her family's ambitions! She said, "Command that in Your Kingdom these two sons of mine may sit, one on Your right and one on Your left" (verse 21). She's thinking advancement, position and place; Jesus is thinking scourging, mocking and death. She's looking for the crown; Christ spoke of the Cross. Jesus' answer speaks not only to silence her ambitions, He speaks to ours as well: "You do not know what you are asking for. Are you able to drink the cup that I am about to drink?" (verse 22). Amazingly, they said to Him, "We are able." In truth, they hadn't any idea of the price that was to be paid. It was only pride, ignorance and ambition talking. Yet, listen to how Jesus answered them: "My cup you shall drink; but to sit on My right and on My left, this is not Mine to give, but it is for those for whom it has been prepared by My Father" (verse 23). "Whoever wishes to be first among you shall be your slave; just as the Son of Man did not come to be served, but to serve, and to give His life as a ransom for many" (verses 27-28). If we will advance with Christ, consider the words He uses to describe the doorway into power: "slave...serve...ransom." Notice He didn't point out the rewards, which are many; He showed them the way to true resurrection power. Give yourself as "a ransom" for the sake of your family, your church or city. Position yourself in prayer, fasting and faith for others. Stand in the gap so others might live. This is the cup that leads to spiritual fulfillment. But let me assure you, this is not a gloomy path; this is the path to the life of Heaven. For when Christ lives in us, He comes with an overwhelming, sustaining joy. The Scripture says that looking at the joy set before Him, Christ endured the Cross (see Hebrews 12:2). The Cross delivers us from the prison of self-absorption; it releases us into the true reality of God, in whose "presence is fullness of joy" and in whose right hand are "pleasures forever" (Psalm 16:11). One may argue, "You don't understand, Francis, I've been hurt." Yes, we all face heartache and disappointment, and the pains we experience can be deep. Yet, in seeking justice for ourselves, we must guard against the voice of self-pity. Indeed, self-pity keeps all our wounds alive. Instead of carrying the cross, we carry the offense. We must rebuke self-pity and command it to leave. We are followers of Christ! Therefore, forgive the offense and let it go. This is not a deep truth; it is the basic path of Christ! Paul wrote of the source of miracles and virtue in his life. He said, "...that the surpassing greatness of the power may be of God and not from ourselves; we are afflicted...but not crushed...always carrying about in the body the dying of Jesus, so that the life of Jesus might be manifested in our body" (2 Corinthians 4:7-10). What is this "dying of Jesus"? It is dying in the manner Jesus died: when offenses come, when we are struck with injustice, when people fail or even betray us, we position ourselves in redemption; we pray the mercy prayer, "Father, forgive them." The only way ambition can be fulfilled is if we are ambitious for Christ to be revealed through us. Paul continued, "For we who live are constantly being delivered over to death for Jesus' sake, so that the life of Jesus also may be manifested in our mortal flesh. So death works in us, but life in you" (2 Corinthians 4:11-12). Beloved, death has a work that it accomplishes in us. Is this not exactly what we desire above all things: "the life of Jesus...manifested in our mortal flesh"? Paul says, "So death works in us." In the hands of our eternal Designer, death is not our enemy; it actually becomes an ally in the transformational process of our souls. It performs a work in us we cannot otherwise fulfill. For the death of our old self leads to the manifest life of Jesus. Here abides true spiritual fulfillment, not in our striving to create a place for ourselves, but in laying down self to create a place for Jesus. Leadership is a call to die. Spiritual maturity is to drink deeply of the cup of Christ. The reason most people fail is not because God hasn't provided for them, it is because their spiritual life is lukewarm and passive. It is time to get your grit back! 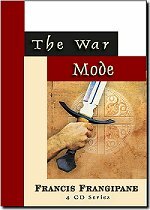 These messages will break the spell of passivity while helping you to develop a war-mode mentality. In this day of advancing evil, it is time to wake up and fight! As the magnitude of evil escalates in the world today, are you looking for a place of immunity and protection? 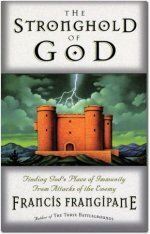 In The Stronghold of God, pastor and best-selling author Francis Frangipane imparts fresh revelation about God's place of shelter during times of suffering and persecution. Once you've found this dwelling place for your soul, nothing you encounter can defeat you. In every distress or devilish plot set against you, you'll emerge unscathed and victorious. From wherever you are, you can reach The Stronghold of God.